Pack an antioxidant punch into your traditional Thanksgiving cranberry sauce by adding some sweet blueberries. 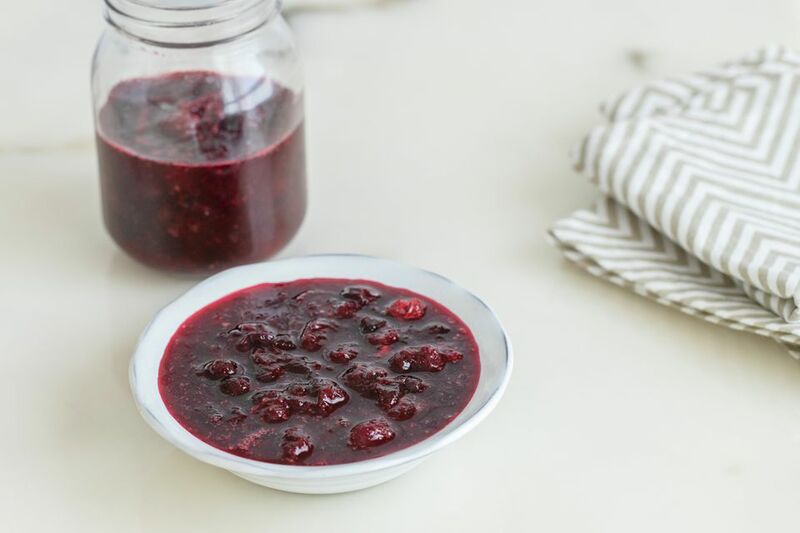 Whether you call it cranberry sauce or cranberry relish, no Thanksgiving or Christmas meal is complete without some, and this is a healthy homemade recipe that is fat-free and low-calorie. This cranberry sauce with blueberries recipe is best made in advance to let flavors blend. Combine everything in a medium saucepan over medium heat. Cook until the sugar dissolves and the berries soften, for about 15 minutes. Remove from heat, cover, and chill.